Seeking asylum in the UK can be a difficult process. People often feel that they are alone or isolated. It can be a long period of uncertainty. With Dr Victoria Canning (of Bristol University), we have developed the “Right to Remain asylum navigation board”. The board is a way to understand each step of the asylum system, from application to decision. Participants can learn about what people going through the system and those supporting them can do to be in a better position. 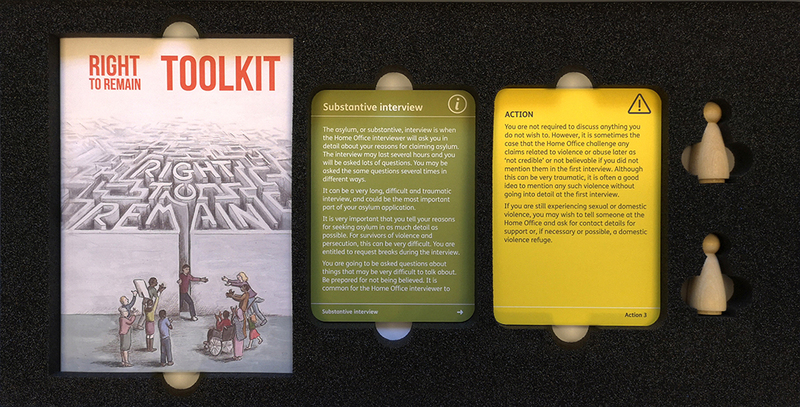 As the counter moves around the board, participants can pick up Information Cards which outline what that stage of the process is, and how it can be navigated. Many problems can arise during the process of seeking asylum. 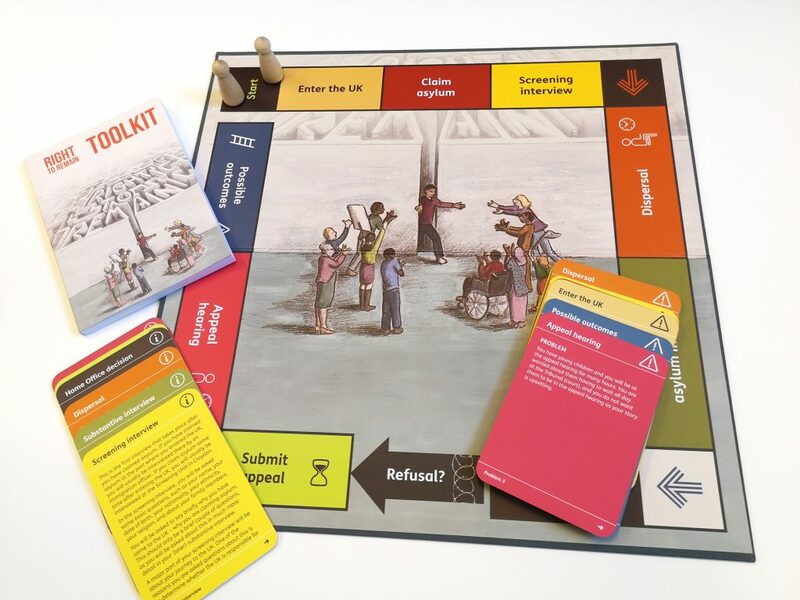 For each stage on the board, participants can pick up Problem cards for that stage of the process (colour coded to match the stage on the board). There are ideas for possible solutions to those problems on the reverse Action side of the card. Further information is included in the enclosed Right to Remain Toolkit.